Birthdays can be expensive. Finding cheap birthday decorations that are cute can often be challenging. 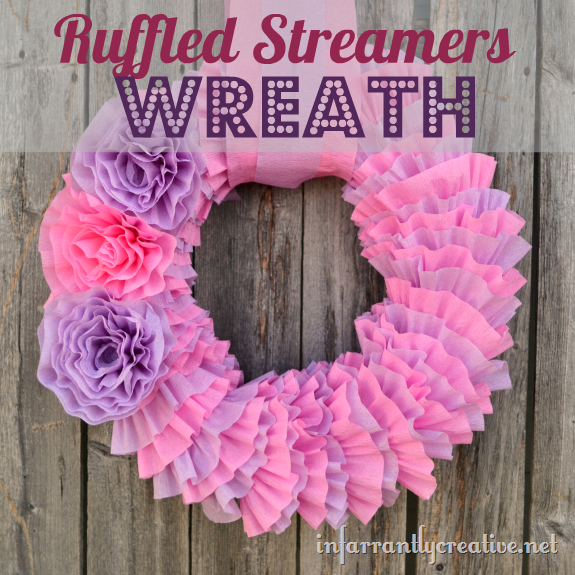 I created a wreath made out of the dollar store streamers and a STYROFOAM™ Brand Wreath. The perfect part about this wreath is that you can remove the steamers after the party and use your wreath form again. Can you guess the theme of my daughter’s party by the colors of the wreath? Bonus points for the those that are right.